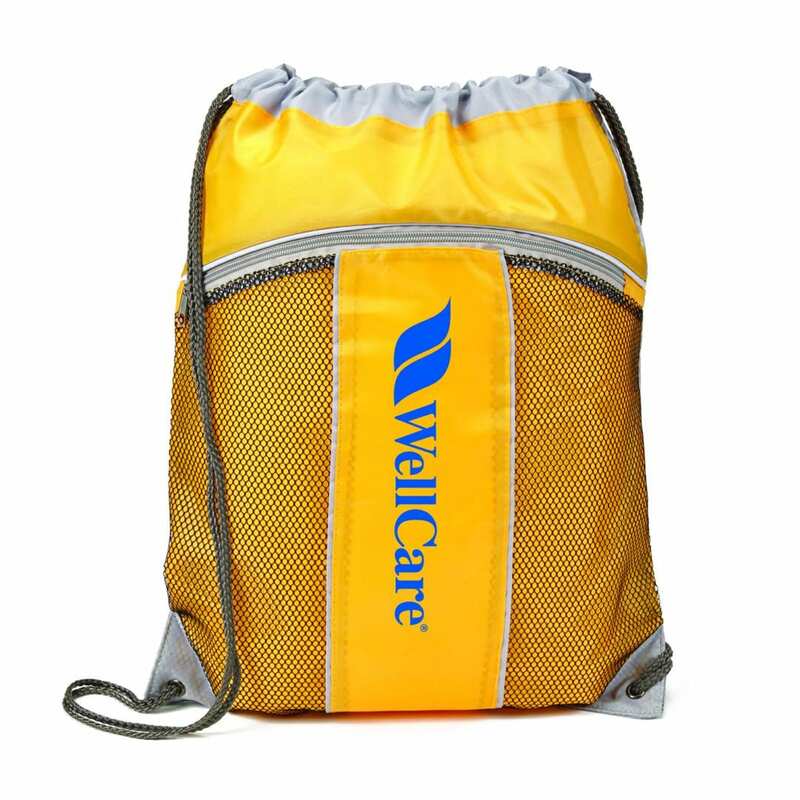 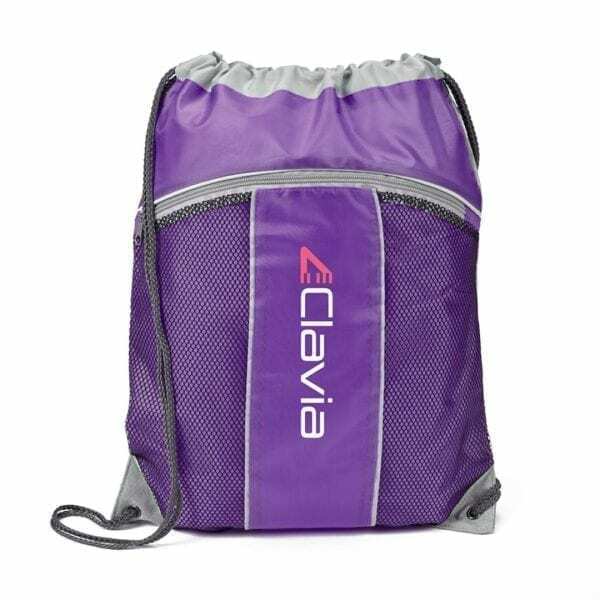 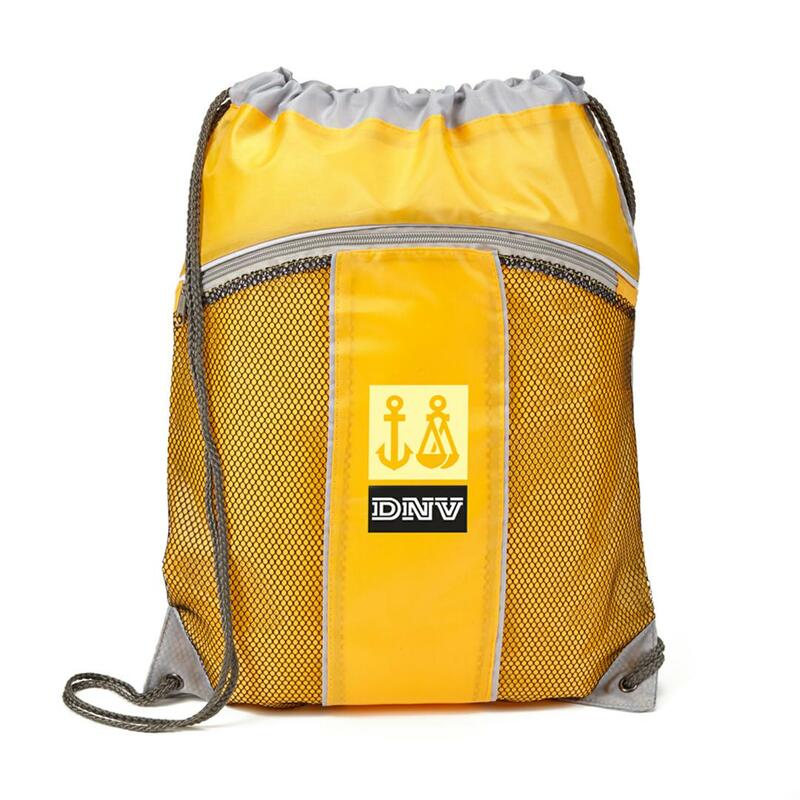 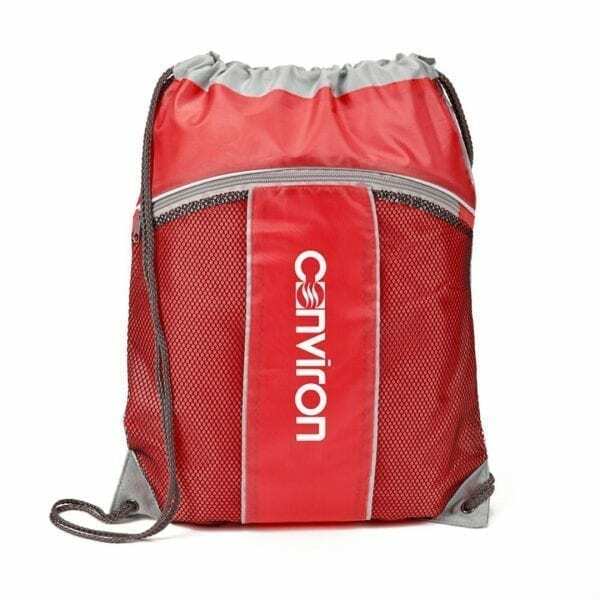 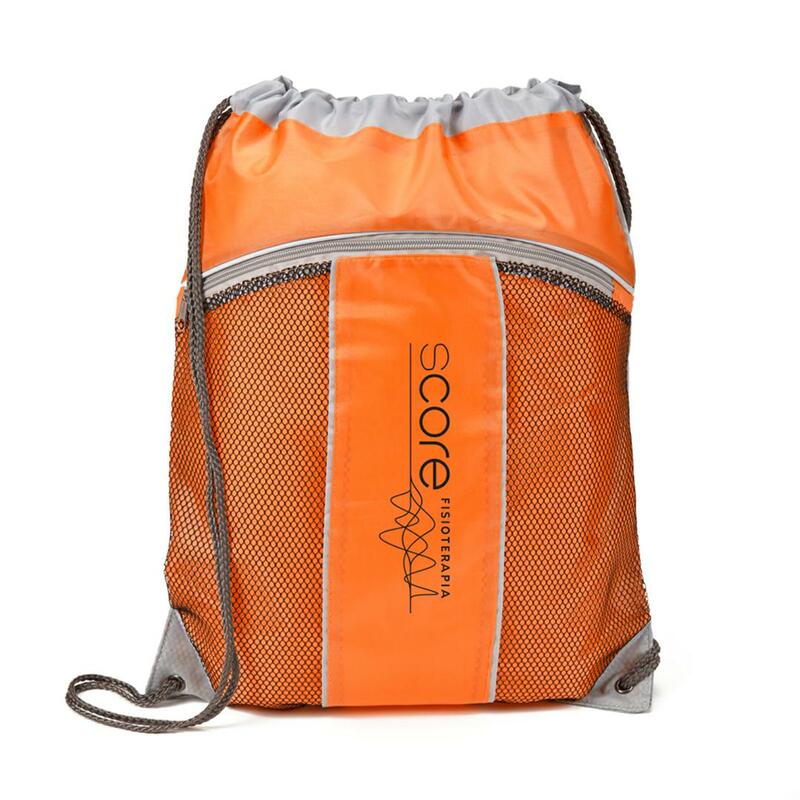 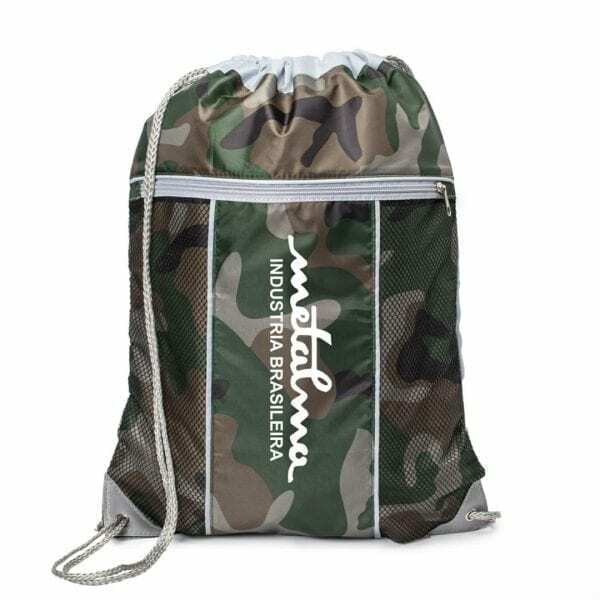 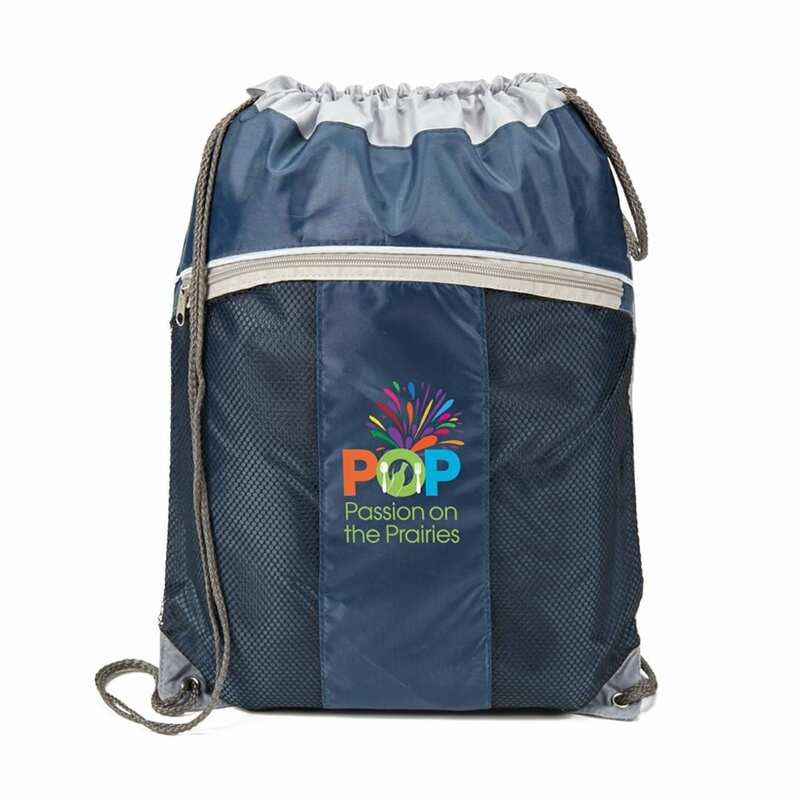 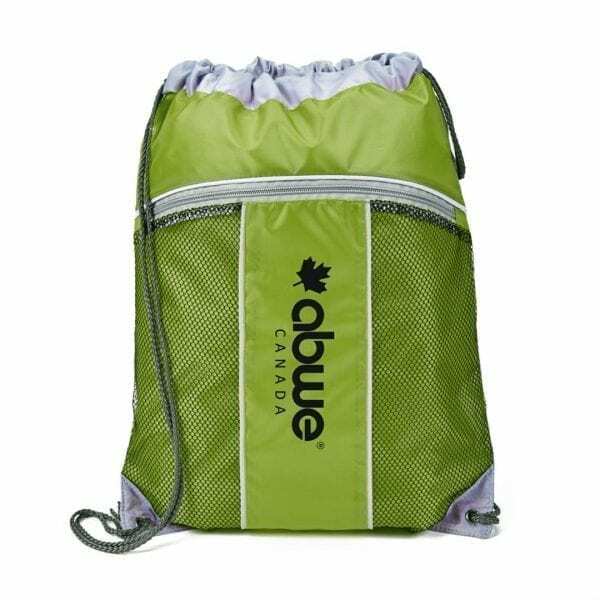 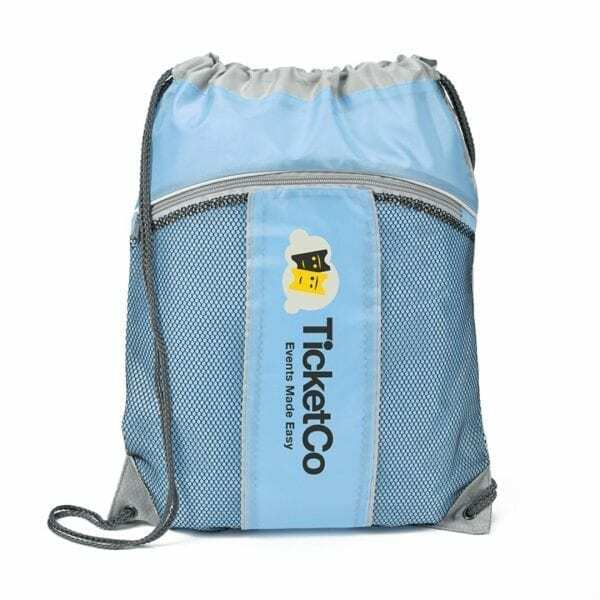 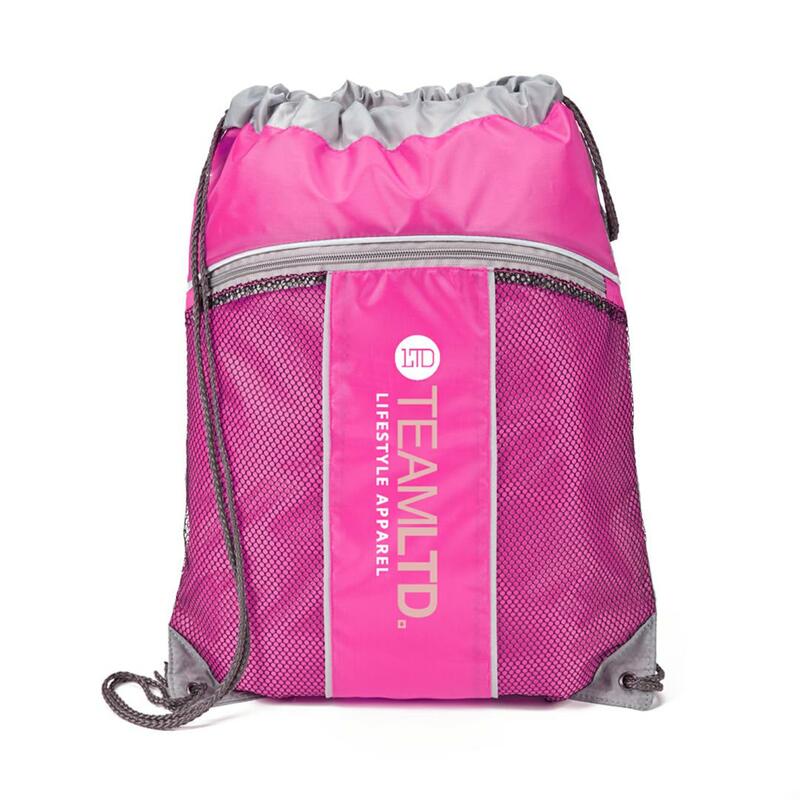 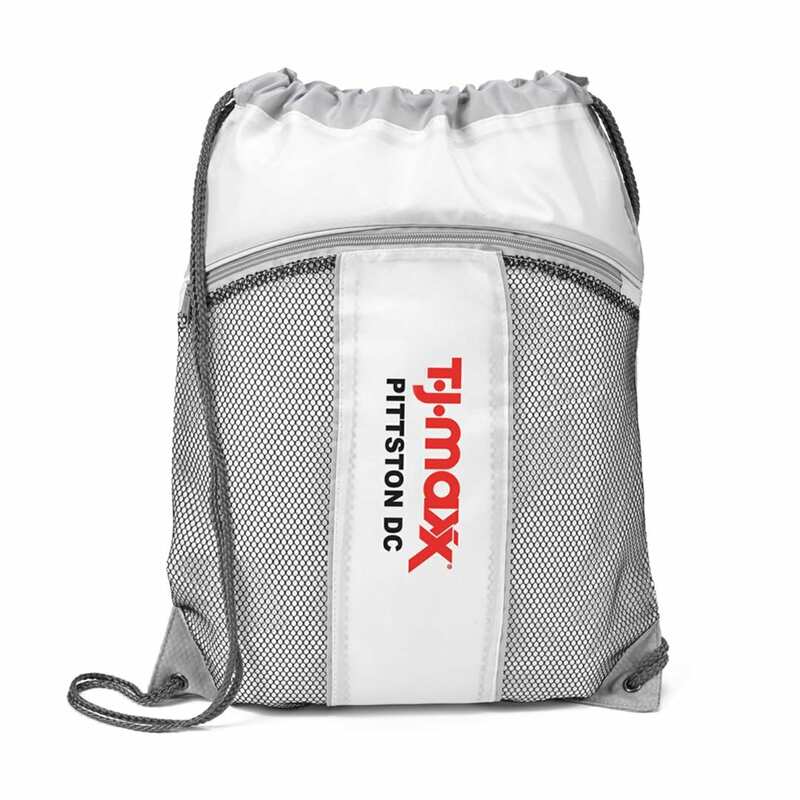 DETAILS: 210D polyester drawstring bag with front zippered mesh pocket. COLOURS: Blue, Green. 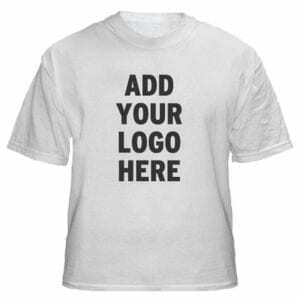 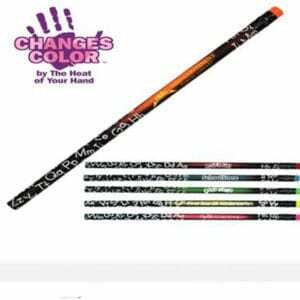 Black, Purple, or Royal Blue.